Alliance Global Health Equity Scholar wins prize in School of Public Health Hack-a-thon. Exciting changes for the Connector’s editorial team! The ADINCHRA team was recently in Ghana to lay the groundwork for its research into hypertension treatment. AHW has a host of important projects in store for 2019. AHW’s Michele Decker and Nancy Glass share results from initial trial of myPlanKenya app in Nairobi. Co-authored by AHW’s Jess Fanzo, the report urges significant changes in red meat consumption and in the ways food is produced. As we look forward to a new year of working hard for global health equity, we're taking a moment to share our top five news stories of 2018. AHW co-sponsored two events during Open Access Week at JHU to support our efforts to promote the concept of Open Science in the name of health equity. AHW is thrilled to announce its new cohort of Global Health Equity Scholars who come from across the Johns Hopkins campus to follow their passion for public health. AHW supports global health equity with a $1 million investment to advance JHU teams’ transformative contributions in communities across the globe. Learn what our Gender Equity & Justice team is doing to identify and address issues of disparity that affect health equity. Join us for Open Access Week events and learn how removing barriers to research can boost health equity. We put the Global to Local approach into in action during a recent trip to Africa. Editor's note: In the third of a series of articles looking at each thematic area of the Alliance’s work, this month we shine the spotlight on our Transformative Technologies and Institutions (TTI) thematic area, led by Dr. Anthony So, and explain how the team's work supports health equity. In 2015, Gilead Sciences brought to market a life-saving medication called sofosbuvir (brand name: Sovaldi) that cures Hepatitis C. Gilead acquired this medication from another company, Pharmasset, but in so doing, priced the drug at $84,000 for a full course of treatment in the United States. While some parts of the world, notably India, have allowed the production of generics (drugs marketed without patented brand names) thereby reducing the cost of treatment in much of the world, treatment for Hepatitis C remains elusive. A 2018 WHO report showed, of the 71 million people affected by the disease, only about 1.5 million were able to access treatment. How do we ensure that the remaining nearly 70 million people receive treatment? How do we reimagine processes of innovation and discovery to bring treatment to those who most need it? How do we ensure that the benefits of health technologies impact populations equitably? In order to grapple with these issues, the Alliance for a Healthier World established the Transformative Technologies and Institutions (TTI) thematic area. Dr Anthony So, a veteran in addressing such challenges and a professor of the practice at the Bloomberg School of Public Health, leads this thematic area. “We don’t think it’s enough to drop solutions into inequitable environments without some idea of how they can meaningfully be adopted,” Dr. So recently said in announcing the Alliance for a Healthier World’s sponsorship of the health equity prize at this year’s MedHacks 2018 health innovation competition. Dr. Anthony So of Johns Hopkins Alliance for a Healthier World discusses the health equity track at MedHacks 2018. This competition – drawing an anticipated 700 MedHack student participants from all over the country – will motivate students to think more deeply about how innovation reaches those in need. This is the first year the competition has a track focused exclusively on health equity. 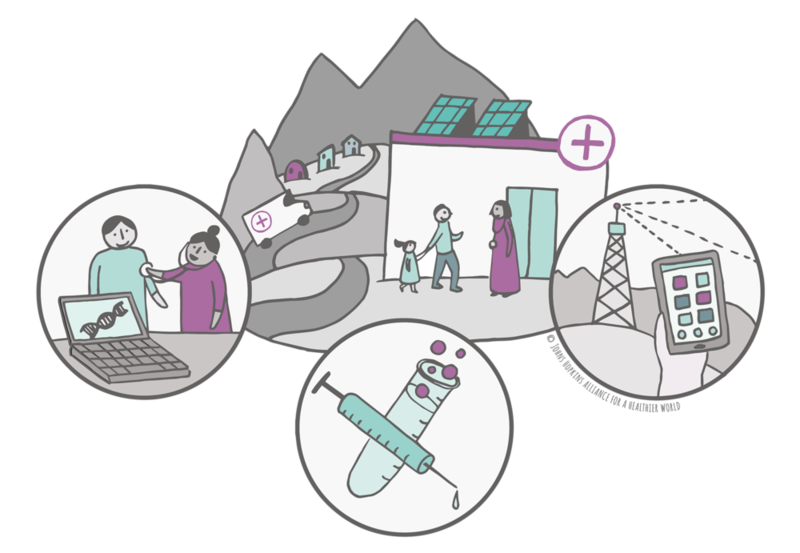 A focus on health equity means aligning research and development (R&D) efforts with global health priorities, making discoveries affordable to those who need them, and ensuring that innovations physically reach those people. Through such approaches to increasing access, TTI focuses on how to unlock bottlenecks in the R&D pipeline, pioneering new ways of paying for innovations, and shifting how we deliver care to patients in need. Library costs worldwide for scientific journals and papers increased significantly between 1986 and 2001, with libraries paying 210% more for 5% fewer periodicals, as noted in a Lancet Commission report on the origins of health inequity. This “paywall” will continue to drive disparities between who can access scientific research and knowledge. Nearly three quarters of all scholarly literature (research papers, review articles, etc.) is behind a paywall, inaccessible to those who cannot afford to pay the cost of a journal subscription. As an example, a basic search for all cancer articles available at the National Library of Medicine’s PubMed Database, a common repository for biomedical literature, shows that over half of all scholarly articles are behind a paywall. As one of the world’s leading producers of knowledge, receiving over $2 billion in federal funding for research, Johns Hopkins University’s research output significantly contributes to the global knowledge pool. With the announcement of its open access policy in July 2018, the University is well placed to rapidly expand the public benefit of sharing its research. In collaboration with the Welch Medical Library, TTI will organize a series of seminars and activities during Open Access Week (October 22-28, 2018) to deepen University-wide understanding of the potential benefits of open access and open science to advance health equity. Open access is one part of open science, which includes open methodology, open source technology, open data, open access publishing, open peer review and open educational resources. Early in September, the Alliance will sponsor the first-ever health equity track as part of the annual MedHacks health innovation tournament held at the East Baltimore campus of JHU. The theme of the prize is "open science to advance health equity." The aim is to open new avenues for student innovators to make the the processes of innovation production more accessible and transparent, and easier to share resulting outputs. These improvements would reduce the unequal impact of technology on target populations. Dr. Anthony So, Lead for AHW's Transformative Technologies & Institutions theme. 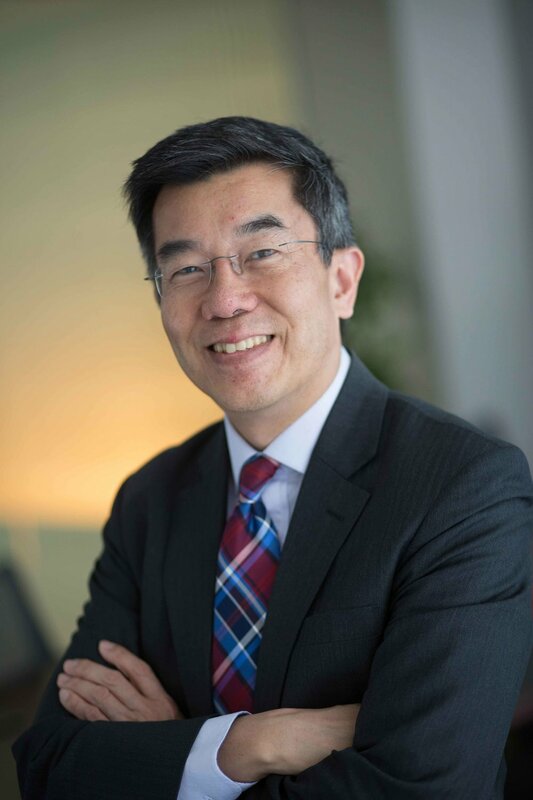 Dr. So’s commitment to knowledge-sharing in the interest of health equity dates back to his days as the associate director of the health equity division at the Rockefeller Foundation. There, he co-founded a cross-thematic program on charting a fairer course for intellectual property rights and helped shape the foundation’s work on policy regarding access to medicines in developing countries. His grant-making efforts supported groups that negotiated the global entry of a generic AIDS triple therapy combination, reducing the cost of treatment $10,000-15,000 per patient per year to just $350--lowering the price of hope to less than a dollar a day. He has also been part of pioneering efforts to promote open access, co-signing the 2003 Bethesda Open Access Declaration. Together with two other major milestones -- the Budapest Open Access Initiative and the Berlin Declaration on Open Access to Knowledge in the Science -- these interventions have significantly shaped the move toward open access publication of scholarly content. He was also a member of PubMed Central’s Advisory Committee and has served on Open Society Institute’s Information Program Sub-board, as part of his deep commitment and passion to narrow the gap between those who have knowledge and those who need it. More recently, through the Alliance’s planning grants, TTI, together with three other AHW thematic areas (Food & nutrition security, Healthy environments, Gender equity & justice), supported a project that typifies the Alliance’s multidisciplinary approach to innovation for health equity. A team of researchers drawn from across the University -- from the Carey Business School, Krieger School of Arts & Sciences, Whiting School of Engineering, and Bloomberg School of Public Health -- joined forces to tackle the persistent problem of household air pollution caused by cooking with biomass fuel in Puno, a rural region of Peru. The wider problem of household air pollution is thought to contribute to 4.3 million premature deaths annually, disproportionately affecting women and children. The multi-disciplinary Hopkins team, drawing on locally available materials, proposes "thermal cooking" as a solution. Their innovation involves using a new type of cook stove that uses liquid petroleum gas (LPG) instead of biomass fuel to heat the food for a short time at high temperature, before enclosing the pot in a heavily insulated container. This would cook the food, maintaining temperature for several hours, without releasing smoke. If successful, this innovation would free biomass for alternative uses, thus saving money, and make available biomass as fertilizer for more nutritious crops. By using LPG, the cook stove reduces harmful agents emitted into households and external environments. It also reduces the effect of toxins released into the household, particularly on women and children, who disproportionately bear the consequences of biomass fuel use, as they spend up to six hours per day around a stove. By employing locally available materials, ensuring that the final cost of the stove would be affordable by those who would need to use it, and by serving a need with an identifiable benefit to the community, this proposed invention is truly transformative. The project exemplifies an Alliance-wide approach to achieving health equity by combining the collective approaches we bring to tackling public health challenges and striving for a healthier and more equitable world. Learn more about the work of AHW’s Transformative Technologies & Institutions here. Read about the AHW's other research priorities, Food & Nutrition Security, Healthy Environments, and Gender Equity & Justice here. This spotlight profile was written by Vinayak Bhardwaj, a Global Health Equity Scholar with the Alliance for a Healthier World. Announcing four awardees of $250,000 Healthier World Challenge Implementation Grants to support multidisciplinary research on addressing hard-to-solve challenges to health equity in disadvantaged communities. University-wide student scholars program - Apply now! Read about plans for the 2018-2019 cohort of university-wide student scholars we’re recruiting. Applications now open until 17th September, 2018.